Behind the scenes I’m slaving away with Tom my web designer (need a website? Tom is the man!) updating everything for my rebrand (need a new logo? Matthew Jones is the one!) and with that I’m freshening up my images and changing what’s going to be on the site. 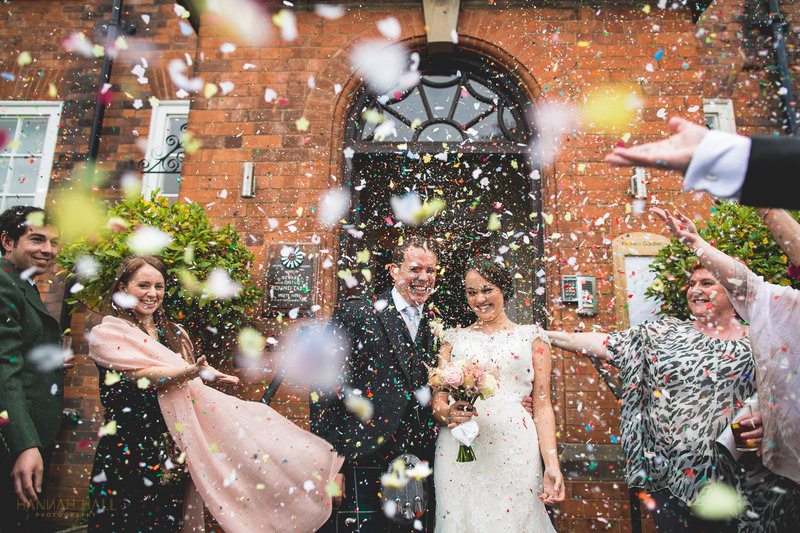 I’ve looked through a stack of weddings to get the images I need and I keep stumbling on images that I really love and one of them that stands out time and time again is the confetti photograph… I bloody love them, so I thought I’d blog some of my favourite images of the sprinkly stuff and tell you why I love them and give you some of my top tips for making sure your confetti pictures are awesome. 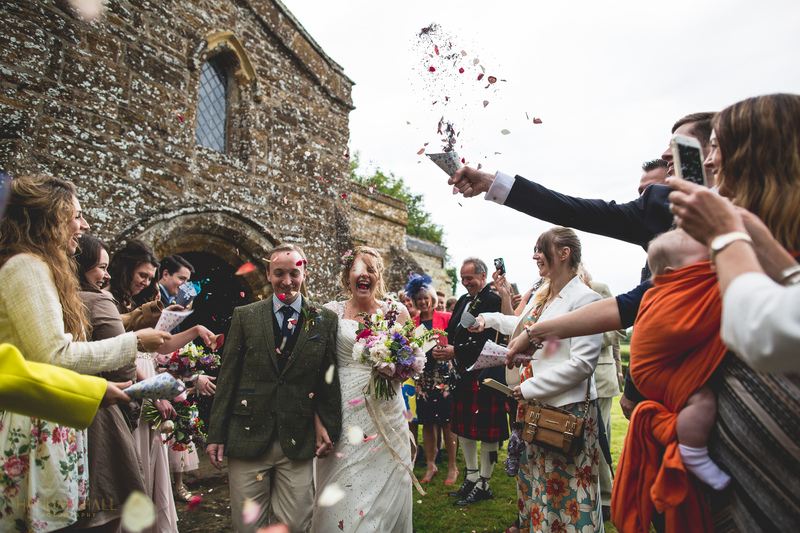 I think the thing I love most about confetti shots is that the facial expressions couples pull when everyone’s lobbing stuff are priceless…. 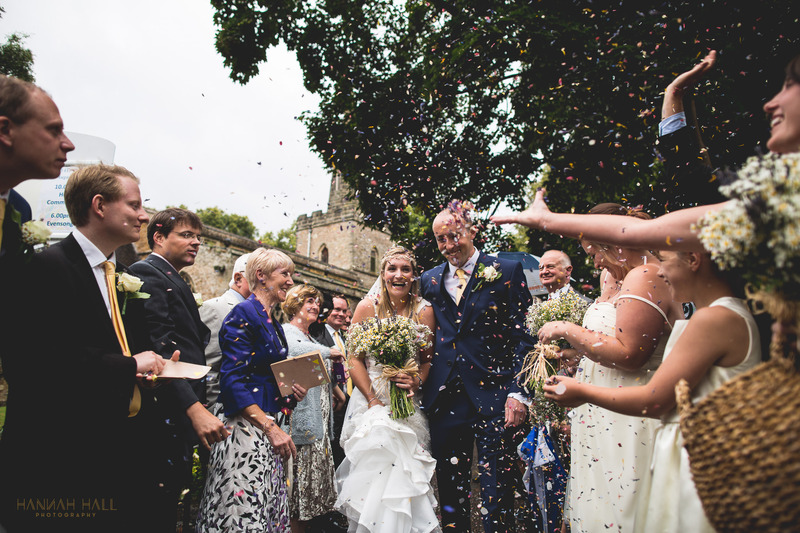 No one ever got hurt by confetti (well, maybe by the wayward guest who chucks the box with the confetti still in!) yet most brace themselves like someone’s about to throw an elephant not some petals… After getting over the initial fear, they always tend to grin from ear to ear. 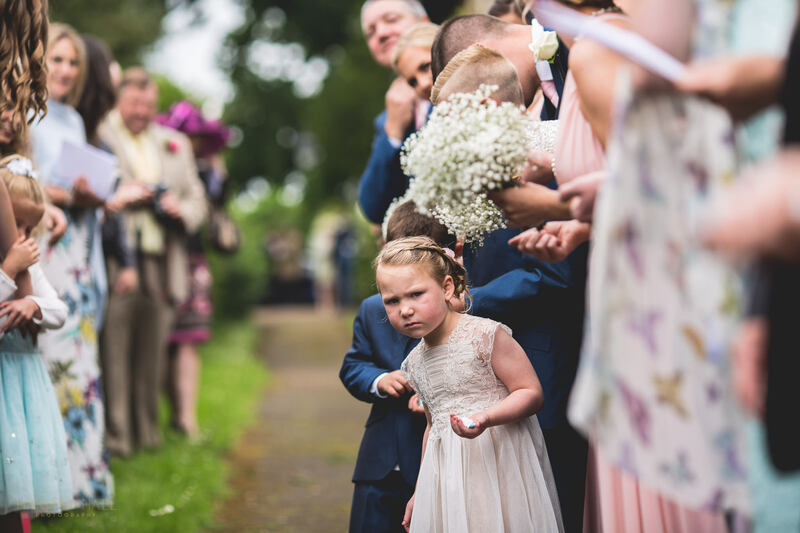 Occasionally they get a face full and it gets stuck to their tongue or the bride gets a whole stack of it down her dress… Both tip top photo moments in my humble opinion. 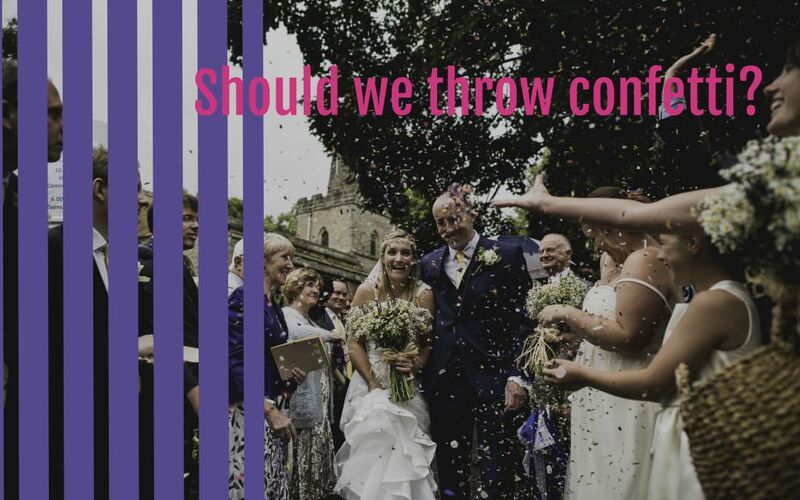 It’s worth mentioning that some venues wont let you throw confetti, or will have rules about where you can and can’t throw it, or what you can throw. 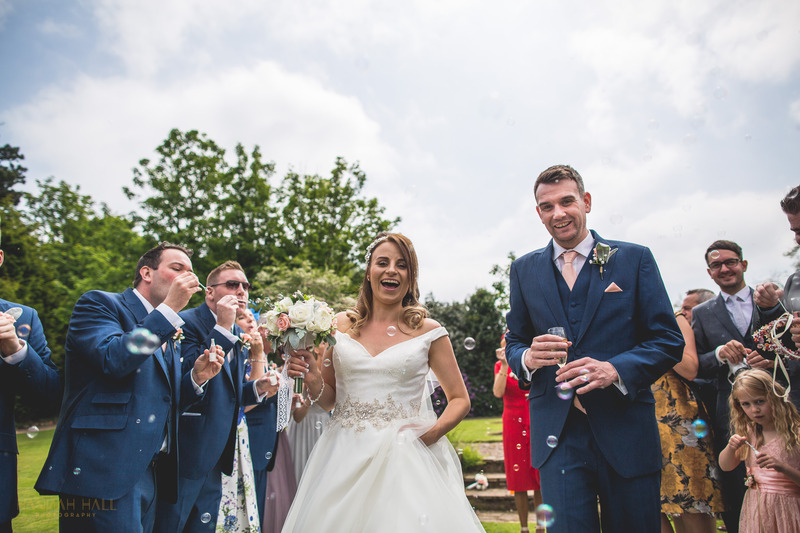 For example at Normanton Church in Rutland water you can’t throw anything, but couples might choose to use bubbles instead and Dodford Manor will only let you throw it inside where it’s easy to clear up. Some churches insist it’s thrown beyond the church venues, where as others don’t mind so long as it’s biodegradable… HOWEVER… My lovely bride Meg soon discovered last year that lavender is REALLLLLLLY ITCHY when it gets lost down your dress… Worth considering if you don’t want to spend the day trying to shake yourself out! 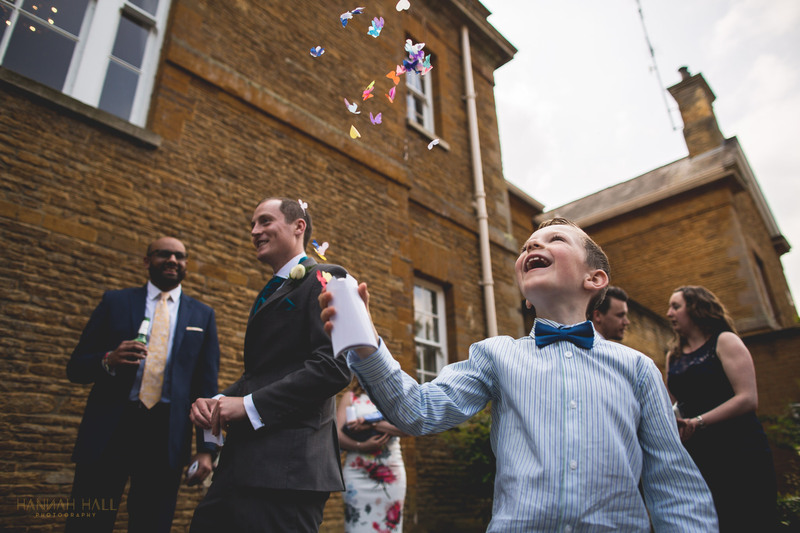 If you want a confetti photograph, I highly recommend that you buy your own confetti and you buy it in bucketloads to distribute to guests. 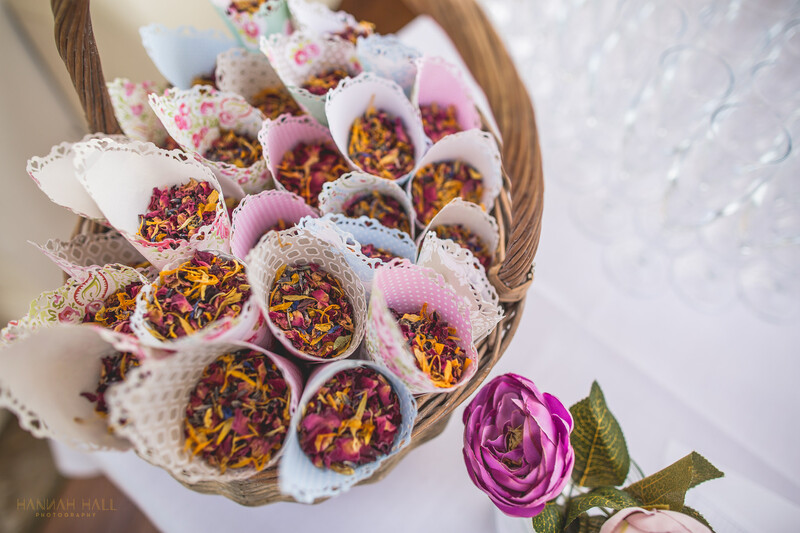 I’ve seen some beautiful cones to portion it into and dishing them out can be a great job for smaller wedding party members. 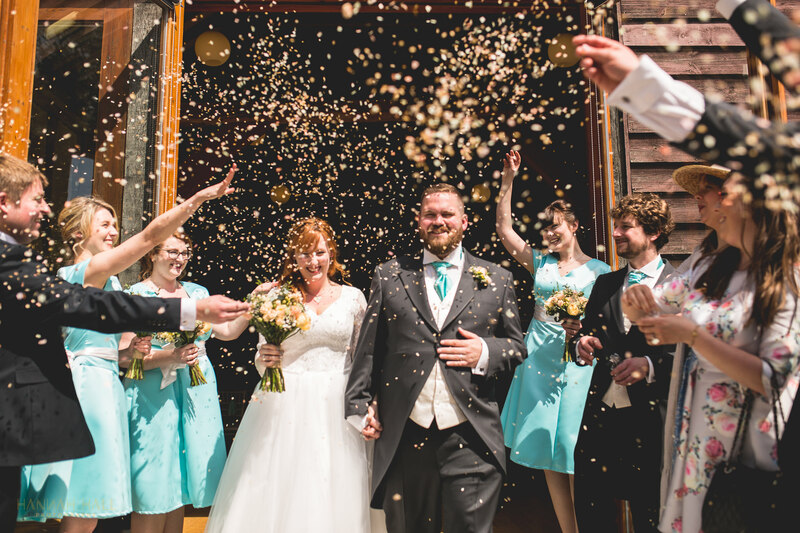 Of course you could also buy confetti canons to let off if you really want to do it in style (these looks brilliant on the dancefloor!!) 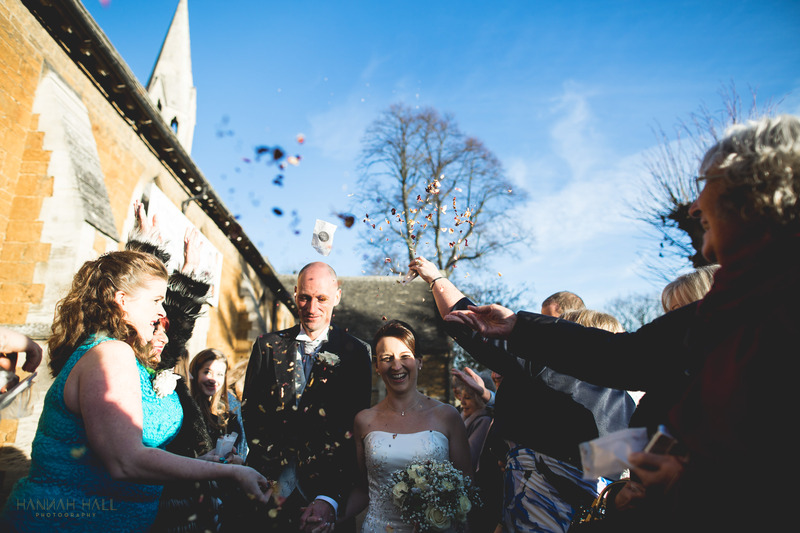 or use bubbles if your venue isn’t down with confetti. 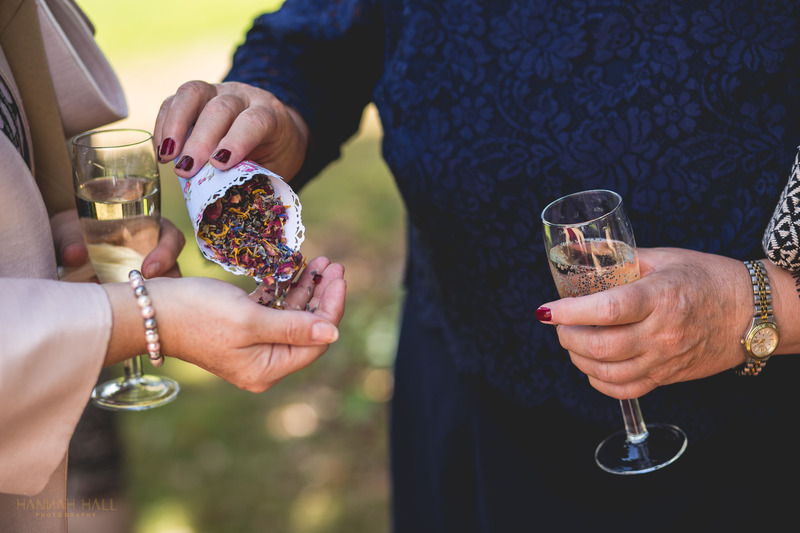 Guests don’t tend to bring confetti with them any more and if they do, they often bring a small box which is barely enough for them, never mind trying to share it around. 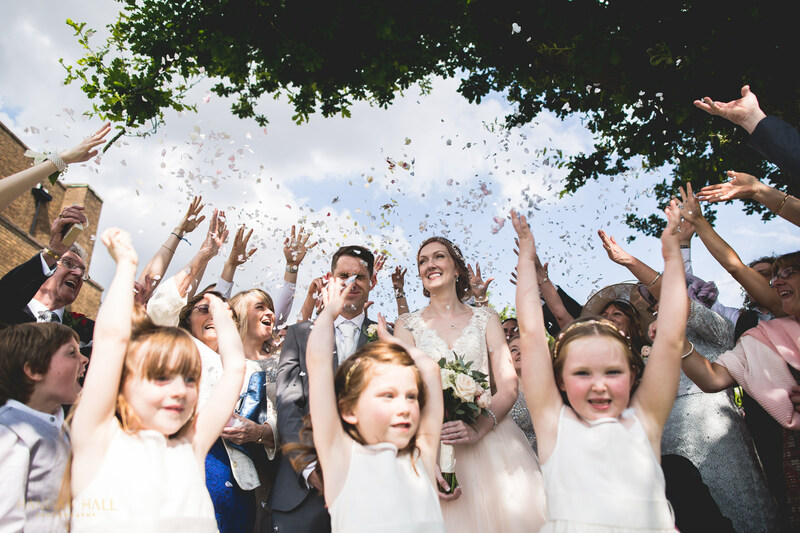 My feeling about confetti pictures is that they’re most effective with shed loads of the stuff, so you really can’t have enough (and if you do, you’ve got it to take to your mates weddings and save the day!). 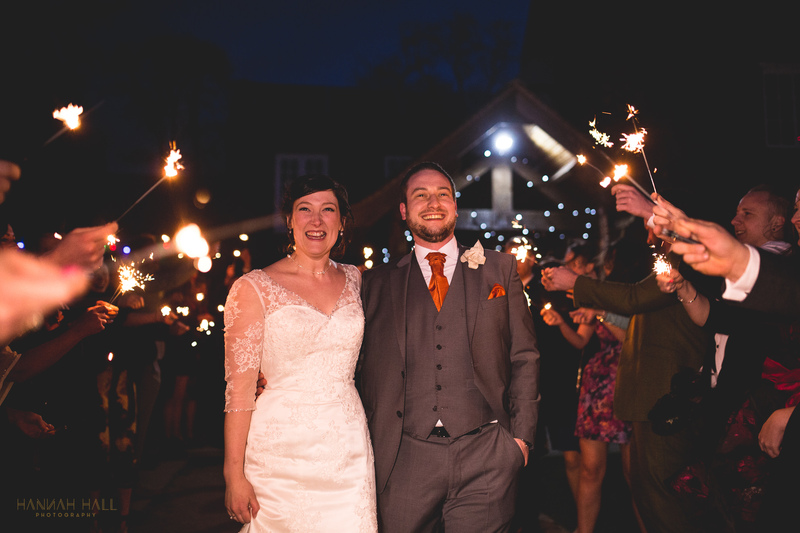 I like to encourage guests to like up and really pack in close, but if lighting is tricky then I might gather guests around the couples for a big throw! The selection of confetti out there is massive now, so really shop around. 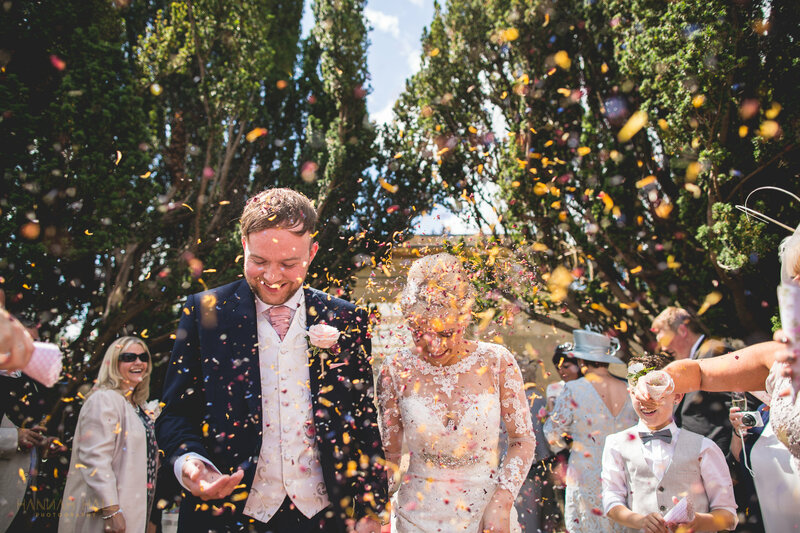 If you don’t need biodegradable, I love Party Pack’s tissue confetti as it’s cheap as chips for a huge amount; I happened to have a stack of it in my bag at the wedding below. You can colour coordinate, or add an injection of fun colour to an otherwise more muted colour palette. 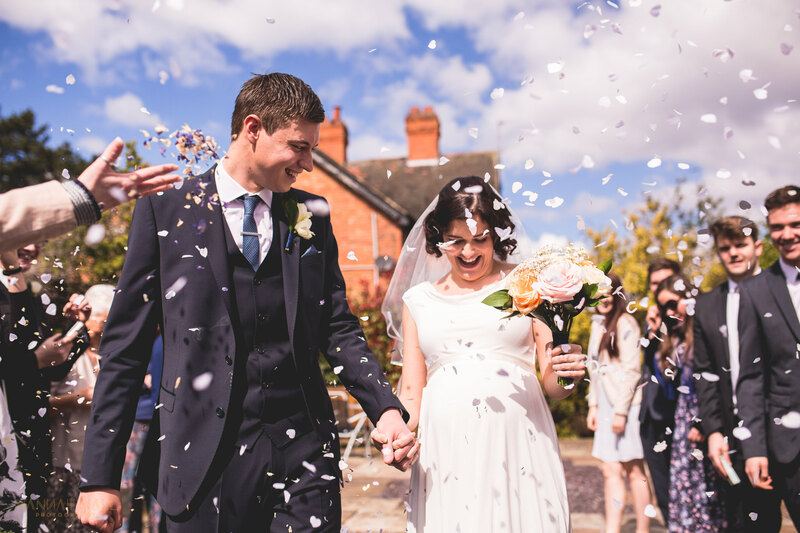 If you want eco friendly options, there are loads of companies selling it but I really love The Real Flower Confetti Company. 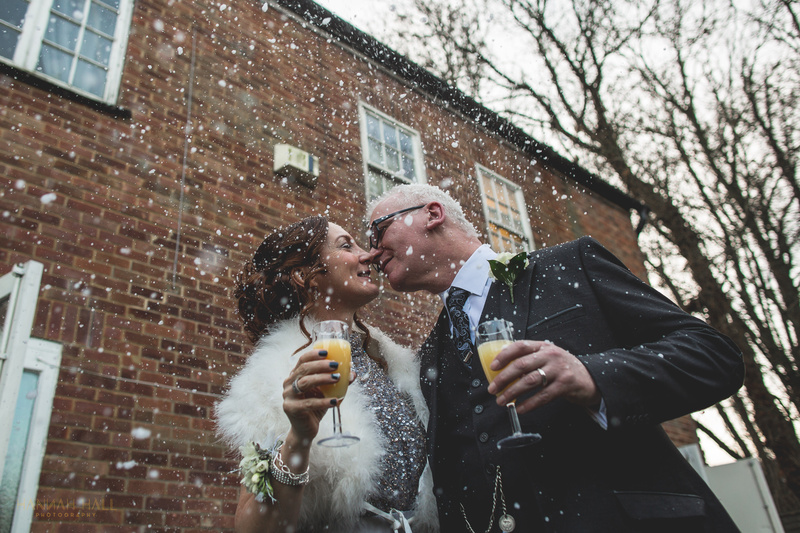 And if confetti isn’t your bag but you still want to make a dramatic exit… There’s always sparklers or even a snow machine!